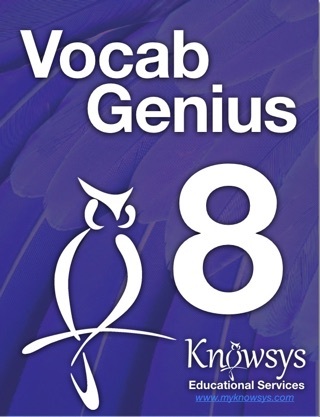 The Knowsys Vocab Genius: SAT helps students master 300 of the most frequently tested vocabulary words on the SAT. 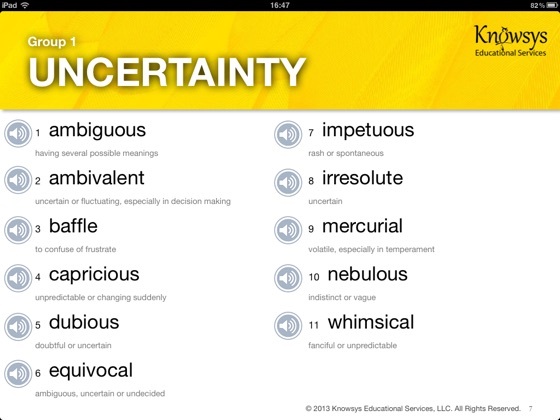 Knowsys divides the words into thematic categories (like uncertainty, language, criticism, knowledge, etc.) and then separates the words into 30 groups of approximately 10 words per group. 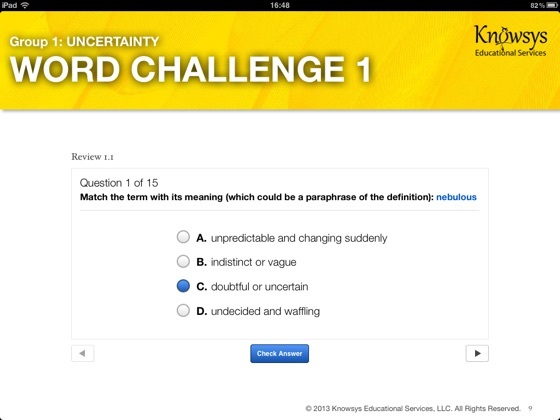 3) improve their critical thinking skills by using deductive reasoning to answer the questions presented in the various vocabulary activities. 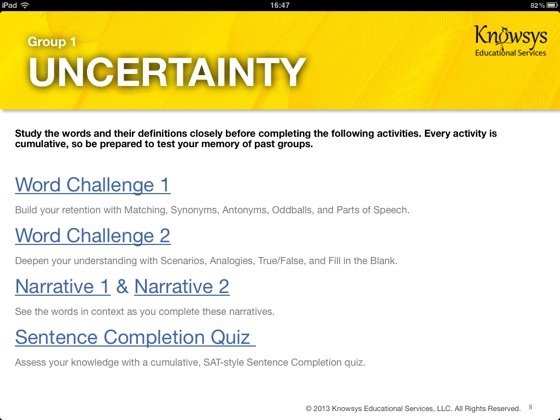 Great activities - make learning easy, fast, and fun! 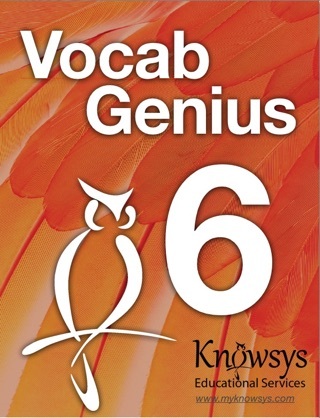 This vocab book has The words and simple definitions plus sounds. 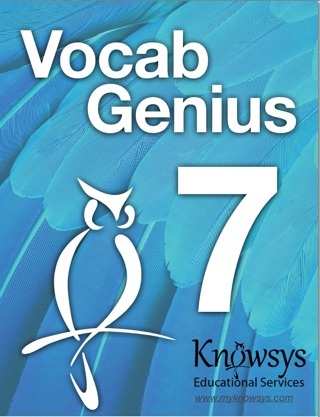 Then it has lots of activities for each group of words from relatively straightforward definitions to synonyms, antonyms, and even analogies. I thought the short narratives were interesting and really helped me see the vocab in context. 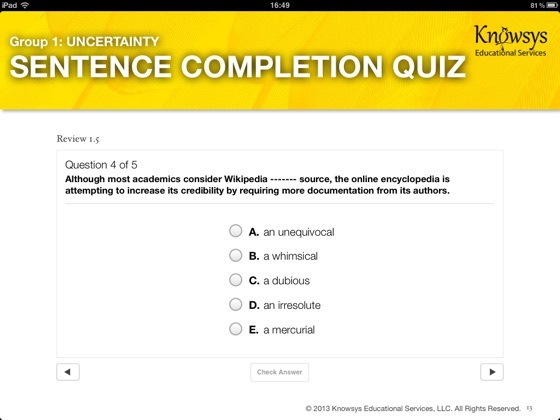 The SAT style questions were challenging. 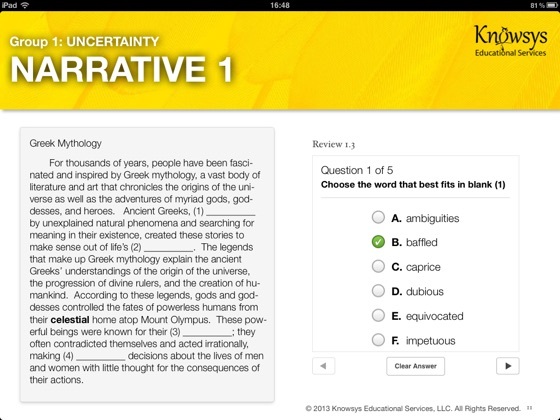 More Books by Knowsys Educational Services LLC.